For example, real estate transactions dropped sharply in February -- 9.1 per cent -- in a broad-based retreat. 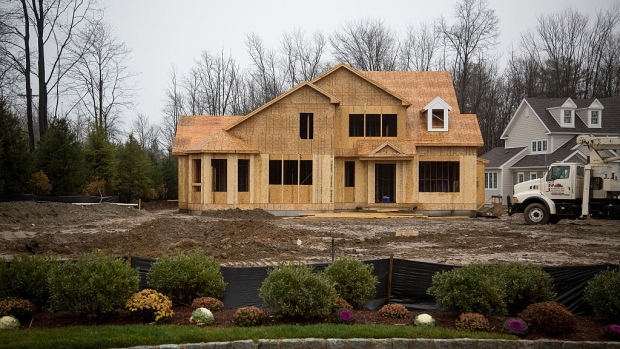 The February housing starts number was the lowest since 2015. Building permits for the month, released Monday by Statistics Canada, dropped 5.7 per cent, after a 6 per cent decline in January. Toronto’s real estate board reported April 3 that home sales in Canada’s biggest city totaled 7,187 in the month, little changed from a year earlier, though transactions are still hovering at decade lows. New listings, meanwhile, declined 5.1 per cent over the year, supporting benchmark prices, which are up 2.6 per cent over the past 12 months. --With assistance from Erik Hertzberg.